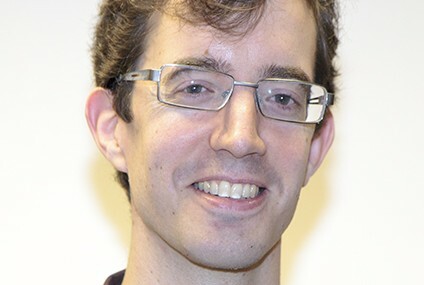 Dr Dunstan Lowe from the Department of Classical & Archaeological Studies has recently been elected to the council of the Society of the Promotion of Roman Studies. The Society for the Promotion of Roman Studies, generally known as the Roman Society, was founded in 1910 as the sister society to the Society for the Promotion of Hellenic Studies and is the leading organisation in the United Kingdom for those interested in the study of Rome and the Roman Empire. Its scope is wide, covering Roman history, archaeology, literature and art down to about A.D. 700. The sister society, The Society for the Promotion of Hellenic Studies (the Hellenic Society) was founded in 1879 to advance the study of Greek language, literature, history, art and archaeology in the Ancient, Byzantine and Modern periods. Dr Anne Alwis was elected to the council of the Hellenic Society in 2014 making the Department at Kent the only one in the UK with council members in both. Both societies have an extensive programme of publications including annual publication of the Journal of Roman Studies, which contains articles and book reviews dealing with the Roman world in general, Britannia, which has articles and reviews specifically on Roman Britain, the Journal of Hellenic Studies and its supplement Archaeological Reports. They also maintain a joint library of over 130,000 volumes and arrange public lectures, conferences and visits to sites and museums as well as supporting schools, university students and young researchers.